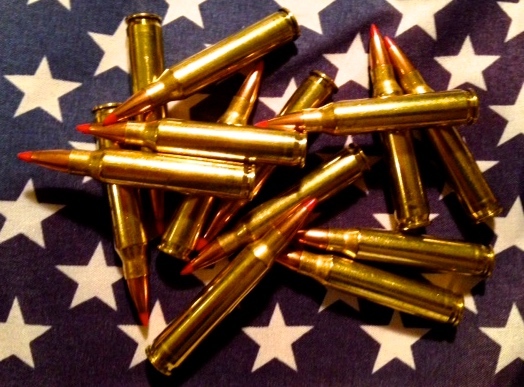 American weapons makers have dominated the global arms trade for decades. In any given year, they’ve accounted for somewhere between one-third and more than one-half the value of all international weapons sales. It’s hard to imagine things getting much worse — or better, if you happen to be an arms trader — but they could, and soon, if a new Trump rule on firearms exports goes through. But let’s hold off a moment on that and assess just how bad it’s gotten before even worse hits the fan. Until recently, the Trump administration had focused its arms sales policies on the promotion of big-ticket items like fighter planes, tanks, and missile defense systems around the world. Trump himself has loudly touted U.S. weapons systems just about every time he’s had the chance, whether amid insults to allies at the recent NATO summit or at a chummy White House meeting with Saudi Crown Prince Mohammed bin Salman, whose brutal war in Yemen is fueled by U.S.-supplied arms. Trump’s plan would even eliminate the requirement that Congress be notified in advance of major firearms deals, which would undoubtedly prove to be the arms loophole of all time. A recent presidential export policy directive, in fact, specifically instructs American diplomats to put special effort into promoting arms sales, effectively turning them into agents for the country’s largest weapons makers. As an analysis by the Security Assistance Monitor at the Center for International Policy has noted, human rights and even national security concerns have taken a back seat to creating domestic jobs via such arms sales. Evidence of this can be found in, for example, the ending of Obama administration arms sales suspensions to Nigeria, Bahrain, and Saudi Arabia. The first of those had been imposed because of the way the Nigerian government repressed its own citizens; the second for Bahrain’s brutal crackdown on the democracy movement there; and the last for Saudi Arabia’s commission of acts that one member of Congress has said “look like war crimes” in its Yemeni intervention.